Atlantic City casino workers want a $175 million bailout to keep the Taj Mahal from closing. 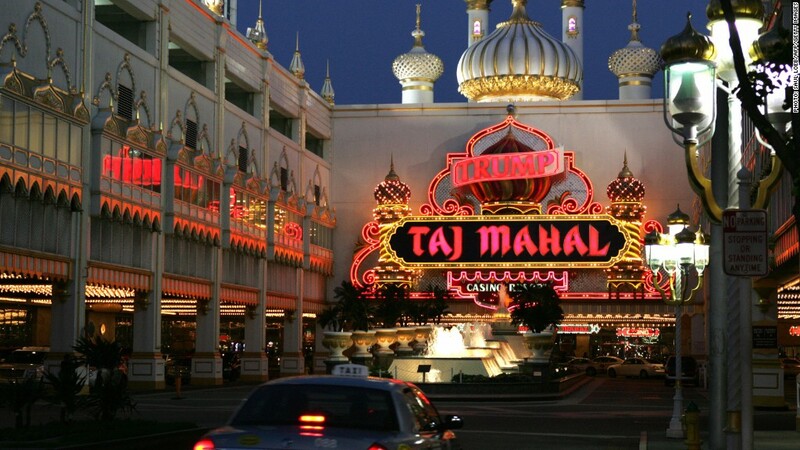 The Taj Mahal casino is doomed if it cannot get a $175 million bailout from the state of New Jersey and Atlantic City. That's the message from casino workers heading for the office of Atlantic City Mayor Don Guardian on Monday with a petition asking the city and state to back a $175 million aid package to keep the Taj Mahal from closing. "The company supports the diligent efforts of all of our employees to keep the Taj Mahal open and save 3,000 jobs," said Kathleen McSweeney, spokeswoman for Trump Entertainment Resorts, which owns the Taj Mahal casino. "We applaud their commitment and resolve and remain hopeful that our elected officials will also support their efforts." The Taj Mahal -- a boardwalk casino formerly known as Trump Taj Mahal -- stands to close before the end of the year. If that happens, it will meet the fate of four other Atlantic City casinos that have shut down this year, causing 8,000 workers to lose their jobs. The stagnant economy and competition from other casinos in the region have taken a toll on Atlantic City lately. The Taj Mahal casino workers, represented by the Local 54 union, are also trying to work out a deal with Carl Icahn. The billionaire investor said he is willing to invest $100 million in the casino, but only if the workers give up their healthcare coverage, among other things. "The most important thing to [Icahn] is for workers to lose their healthcare so that he can grab another nickel from people who make less than $12.50 an hour," said union president Bob McDevitt, in a recent statement he sent to CNNMoney. "[Icahn] wants taxpayers to pick up the [healthcare] tab." Icahn bashed the union in an open letter last week, saying that he doesn't put with bullies because he "grew up on the streets on Queens." Another big name, Donald Trump, has also featured prominently in the ongoing battle on the boardwalk. The Donald built and used to own the Taj Mahal along with another casino called Trump Plaza, before he sold them to Trump Entertainment Resorts seven years ago. He continued to lease his name to the casinos until recently, when he won a lawsuit forcing the casinos to take his name off the marquee. According to the suit, he was upset that the buildings bearing his name had been allowed "to fall into an utter state of disrepair." "We have a very high standard and they didn't meet it," said Trump, in an interview with CNNMoney last month. Trump Plaza casino has closed. Along with the Taj Mahal, there are now eight casinos left in Atlantic City.